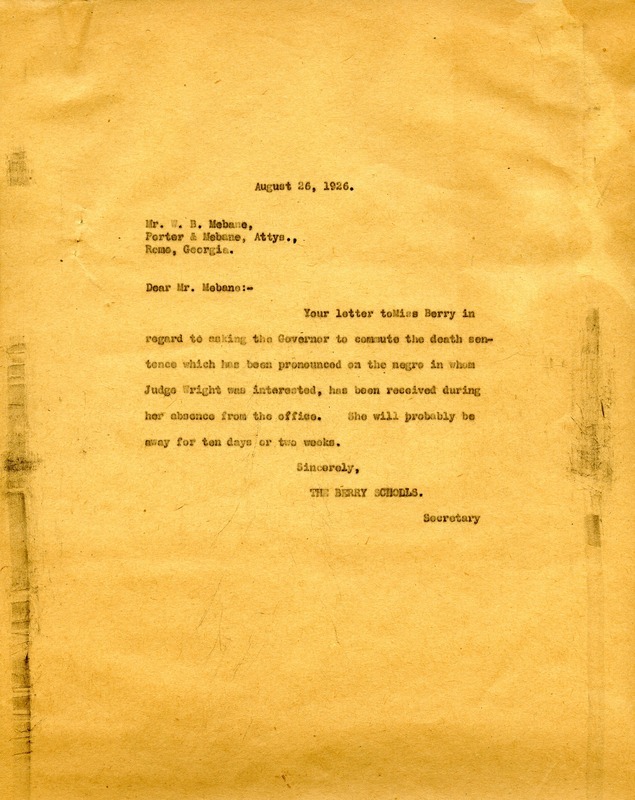 This letter says that the letter Mr. Mebane sent regarding the death sentence imposed by Judge Wright has been received and will be answered by Martha whenever she returns. Berry Schools, “Letter to W. B. Mebane from Martha Berry's Secretary.” Martha Berry Digital Archive. Eds. Schlitz, Stephanie A., Cassie LaJeunesse, Savannah Harris, et al. Mount Berry: Berry College, 2012. accessed April 26, 2019, https://mbda.berry.edu/items/show/2147.